If you require repeated courses of medication there will be a re-order form attached to the prescription. Please hand this in to the surgery or post back to us clearly indicating the required items on your re-order form. We also have a dedicated repeat prescription line (01224 849393)which you can call and leave your message on the answer machine. This number is for repeat prescriptions only; if you need another item that is not on your repeat list, please ring the normal surgery number. 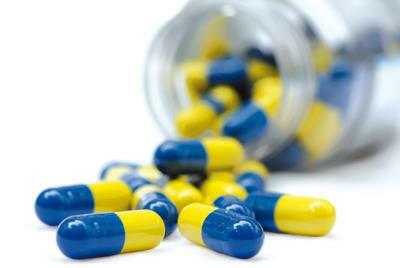 The GP will assess whether the 'non repeat' medication is still indicated for you. NB: When using the Repeat Prescription line - please only leave prescription request information for one person per telephone call. Please make a separate call for requests for another person. (Requesting several items for a number of people in one call can lead to mistakes in transcription of the call). Thank you for your understanding. Please note that you can order your repeat prescriptions online - to do this, please obtain a vision online services registrations form from the practice or download it here. Collection of your prescription can be arranged from the surgery or from either of the two Lloyds Pharmacies in Westhill or from Kingswells Pharmacy. Please allow at least 2 complete working days before collecting your prescription from the surgery. If you initially hand your request into the chemist (for your convenience), OR If you prefer your prescription to go to a chemist for collection, this often will extend the time over 2 working days to process your prescription for collection. Typically allow 4 complete working days before you can expect your prescription to be ready for collection. Please ensure that you book an appropriate appointment to avoid unnecessary delays to further prescriptions for such items as Contraceptives. Minor Illness: Can I Help Myself?